Five different design teams, champagne, speeches and a wonderful exhibition: last Wednesday, The White Room in The Base saw it all at the opening of the exhibition ‘A Look into Aviation Terminals of the Future’. If you have not visited yet, you can view the beautiful terminal designs until Friday, 17 November. 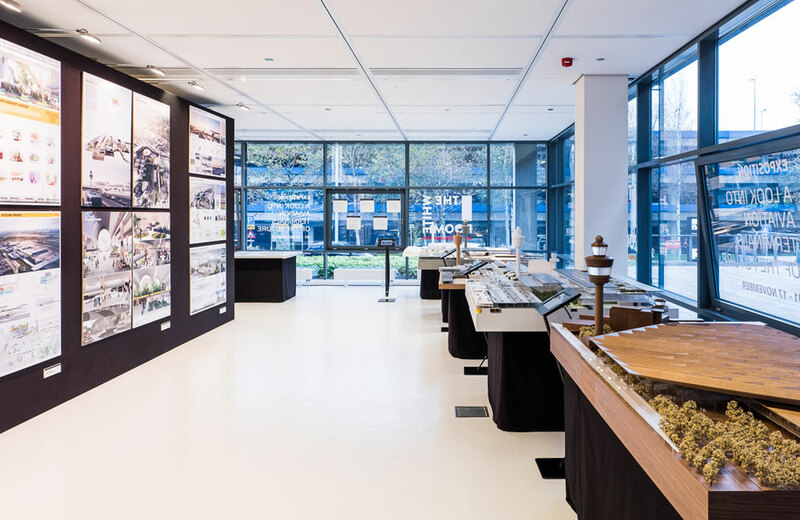 This new exhibition in The Base at Amsterdam Airport Schiphol provides an overview of all the designs that have been submitted for the new terminal, created by five different design teams. Naturally, it includes the winning design submitted by KAAN Architecten. The opening was attended by the proud members of each design team. The exhibition offers everyone at Schiphol the opportunity to view the designs for the new terminal. The models and visuals show off the talents of the Dutch and international architects and their design teams. Each team has done a great job by submitting an intriguing and original design. The exhibition is open all day, every working day until Friday, 17 November in The White Room in The Base. Both Schiphol employees and passengers are cordially invited to come and admire the future of aviation terminals.